SUPERDUO™ DUETS™ are comprised of two different glass colors which are fused together and then coated to create an unbelievable dual color effect. They can be used on their own or paired together with other matching or contrasting SUPERDUO™ colors! I am de-stashing smaller amounts of super duo beads. These are new, never used beads in a 7 gram bag. Just enough beads for smaller projects or if you want to give them a try! A new color dimension in jewelry-making design! 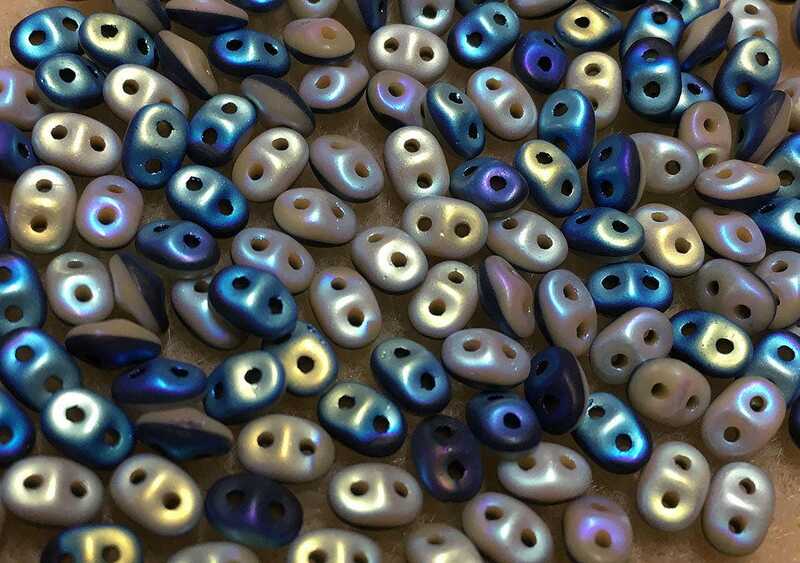 Create your own designs, use as a connector or as a main material to work any beautiful beaded project. Size: 2.5x5mm - same size as regular Superduo beads. Perfect items in the multiple purchase. Thanks.